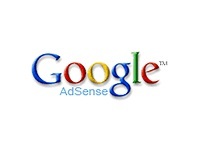 Google recently introduces new Google AdSense ad sizes. The ad sizes are called “Billboard” (970×250) and the “Portrait” (300×1050). In a blog post published by AdSense, the larger ad sizes came as a result of the request from AdSense publishers and AdWords advertisers. These ad sizes formats provide a great canvas for rich creatives and perform well on many sites. The new Google AdSense ad sizes will help publishers reach more advertisers while also enhancing user experience and engagement on your site. Both of these ad units can accommodate standard text ads and/or image ads. Additionally, they can show similar-sized image ads when doing so will maximize the performance of your ad unit. In this case, a 300×250 ad would serve in the 970×250 ad unit and a 160×600 would serve in the 300×1050 ad unit. 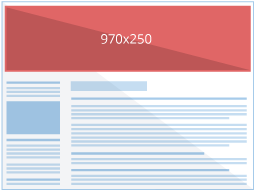 As both of these new sizes are large ad units, you can place a maximum of one per page. As always, remember to keep a balance between your content and ads and ensure your ad placements comply with our AdSense program policies. 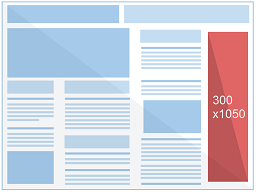 The new Google AdSense ad sizes should make you more money. Stay tuned for more updates coming soon and share your feedback in the comment section below. 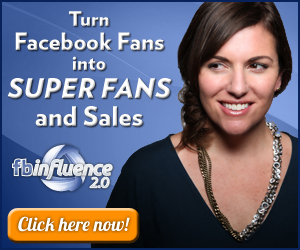 Posted on AdSense blog by Alexey Petrov, AdSense Product Specialist but edited for our audience.